Earlier in the year, I was invited to try out my first pair of Mizuno's, the Wave Sayonara. I had a major love affair with those shoes and wore them during my first full marathon and two half marathons. With a saddened heart, I put them away, as they reached their mileage limit. 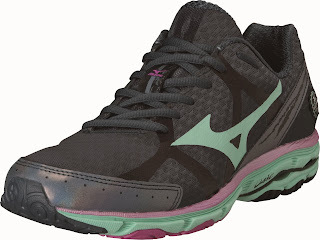 It's like the Mizuno gods knew of my sole loss, I received another Mizuno opportunity - for the Wave Rider 17. I was like a giddy school girl. I stalked photos online to see what color schemes other Ambassadors were receiving and to my shock, they had sent out various colors to different ambassadors. While all of the colors are beautiful, I was coveting the black shoes - all of my shoes are very bright and mostly pink. I arrived home on the night before Thanksgiving to find my Gator Butler proudly holding my new Wave Rider 17's - and they were black! The first thing I noticed was that the Wave Rider 17 was nearly as light as my Sayonaras (the Wave Rider 17 is 8.8 oz and the Sayonara is 7.1 oz). 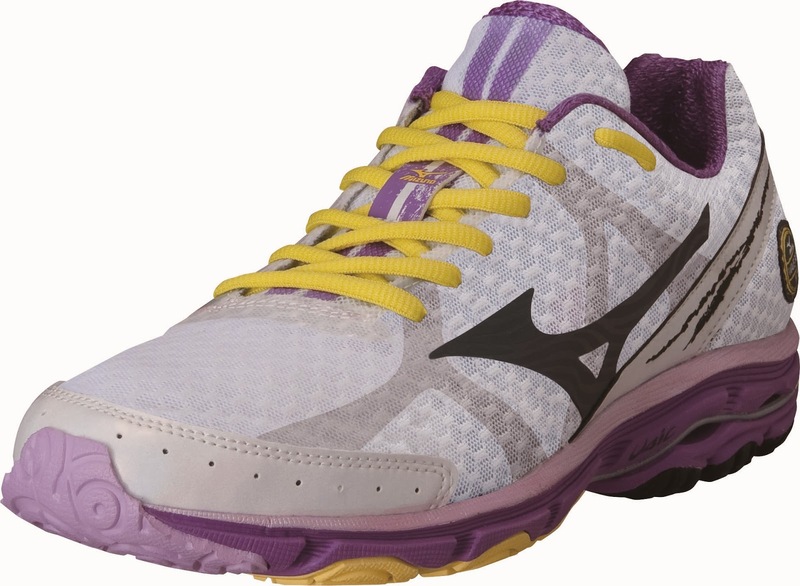 One thing I was looking forward to was trying this light neutral shoe which offered more support than my previous pair. 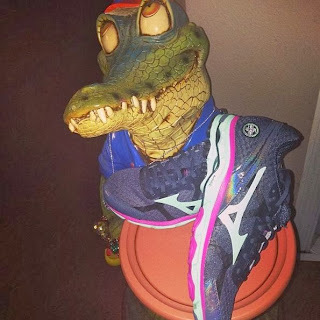 After many days of not running due to Thanksgiving and too much food/wine consumption, I finally laced up the Wave Rider's and went out for a run. The second they were laced up, I knew these shoes were perfect for me. They were supportive AND light. While the Sayonaras were one of the best shoes I have ever been in, they were not supportive enough for me. 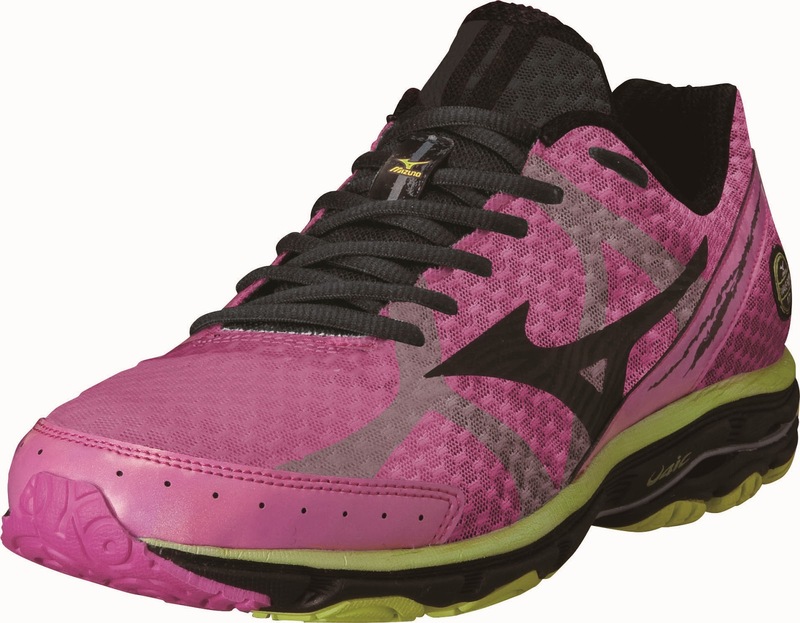 I have ran long distance in nearly every major brand of running shoes and Mizuno's have been the only shoe not to give me toe blisters. If you are looking for a light and supportive shoe, I strongly suggest heading out to your local shoe store tomorrow. The Wave Rider 17 are available for purchase on 12/5/2014! I'm in need of a new running shoe. . . and possibly one in every color of these! I love my wave inspire 9's, but I think I will have to go try these on soon!